As Turkey and Saudi Arabia edge closer to sending ground forces into Syria at the behest of the United States, Russian Prime Minister Dmitry Medvedev has warned that an escalation of the conflict could lead to another war in the world. "All ground operations, as a rule, lead to permanent wars," he said. "Look at what is going on in Afghanistan and a number of other countries. I don’t even mention the ill-fated Libya. "The Americans must consider — both the US president and our Arab partners — whether or not they want a permanent war." "We must make everyone sit down to the negotiating table, and we can do it by using, among other things, the harsh measures that are being implemented by Russia, the Americans, and even, with all reservations, the Turks, rather than start yet another war in the world." "We may differ in our opinions of certain political leaders but it is not a good enough reason to begin intervention or to stir up unrest from within." 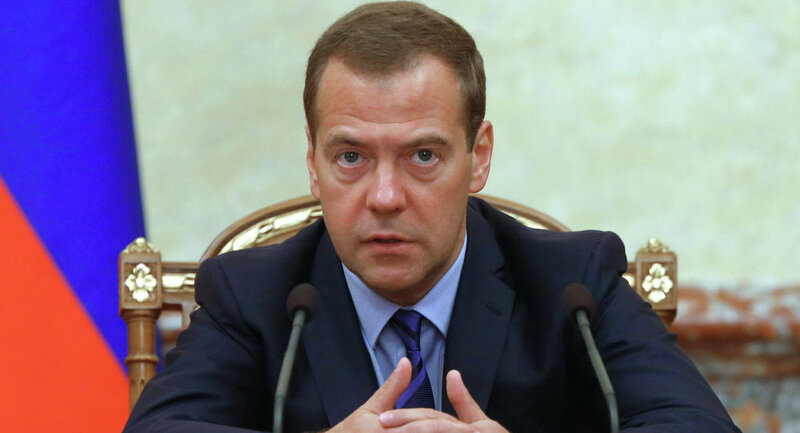 "…We must sit down at the same table, but our partners avoid this," Medvedev said. "That is, there have been some occasional meetings, telephone conversations and contacts between our militaries. But in this situation we should create a full-scale alliance to fight this evil." "Some of these people — and it’s not just a few strange individuals or utter scoundrels, but hundreds and possibly thousands — are entering Europe as potential time bombs, and they will fulfill their missions as robots when they are told to," he said. "We are not trying to rule the world or impose our regulations on it, though we are accused regularly of having such ambitions” he added. “That is not so — we are a pragmatic people who realise that no one can shoulder responsibility for the whole world, not even the United States of America."